Or you could do Agile programming from the start. ha! 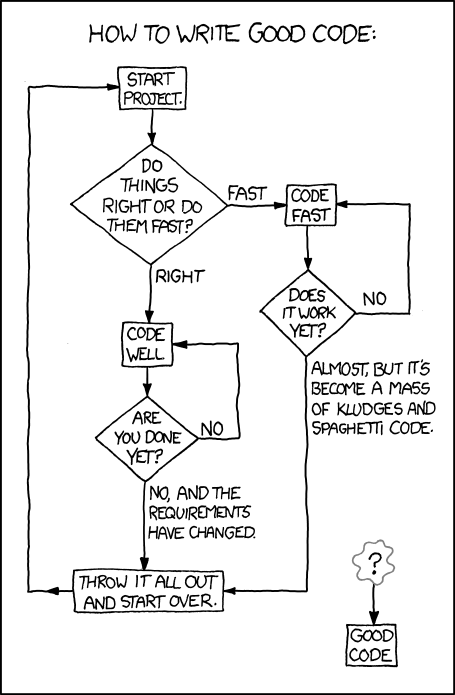 it’s nice to think that agile always leads to good code, isn’t it? (sadly, not so much!) 🙂 loved this xkcd.